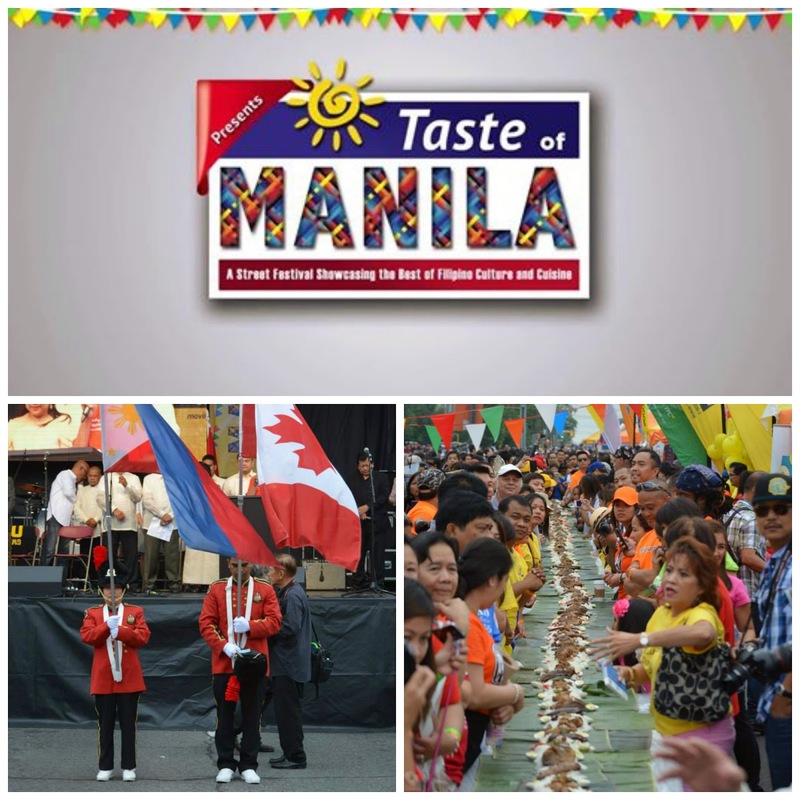 www.fromatravellersdesk.com: Are We Expecting Too Much from the Taste of Manila in Toronto? Are We Expecting Too Much from the Taste of Manila in Toronto? Taste of Manila in Toronto is a test for the taste of the Filipinos! 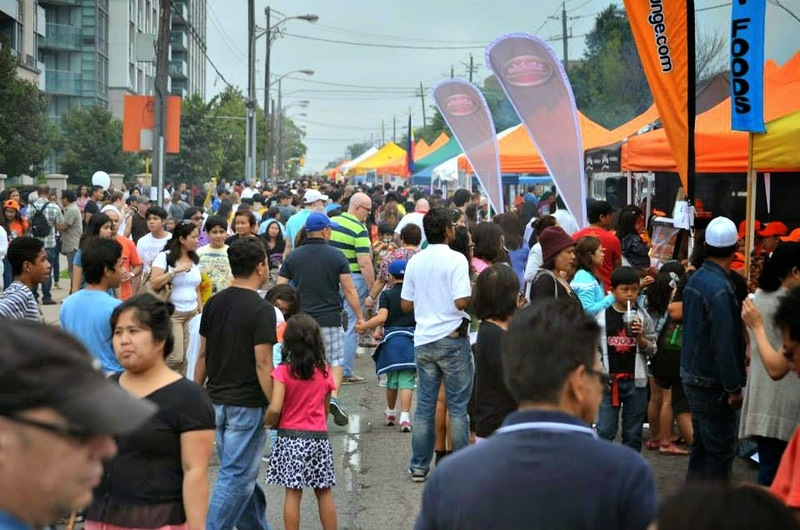 The "Little Manila" in the Toronto streets of Bathurst and Wilson is a witness in approximately twenty five thousand in attendance, and maybe more. It is a big surprise ~ to the organizers and the people who are instrumental to its success. 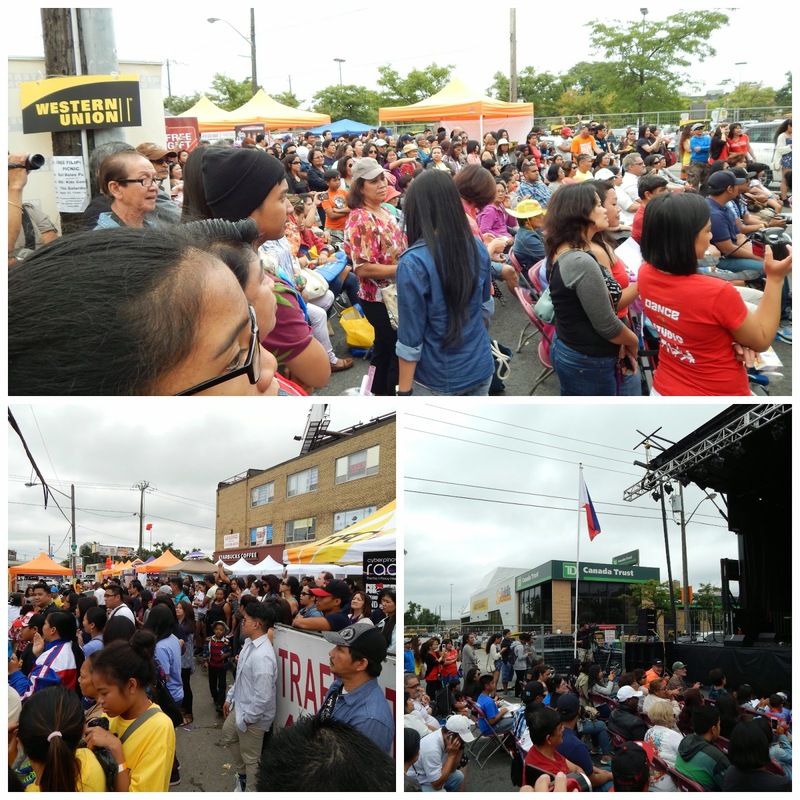 Taste of Manila is the first street festival organized by the Philippine Cultural Community Centre headed by Rolando Mangante, in association with the Philippine Consulate Office of Toronto. 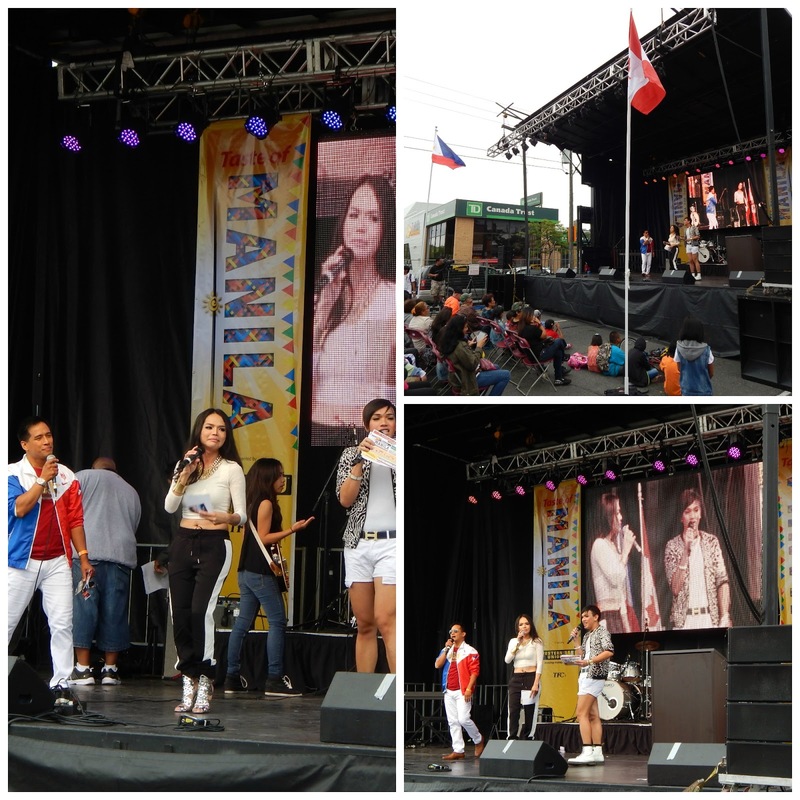 It is a two-day festivities attended by the Filipino-Canadian community and their non-Filipino families and friends. A very festive weekend celebration on August 23 and 24. Bathurst and Wilson streets were partly closed, contrary to what was originally reported, to accommodate the influx of Pinoys coming from the neighbourhood and the neighbouring cities. And yes, for those who still don't know, the area of Wilson and Bathurst is home to many Filipino-Canadians and so with the many Filipino businesses mushrooming the two streets. As a Torontonian, I had the opportunity to witness the dedication of people who worked hard and still working for the Canadian and Philippine government. The occasion was graced by the first Filipino-Canadian Senator Tobias C. Enverga Jr., and the Philippine Consul-General Junever Mahilum-West. 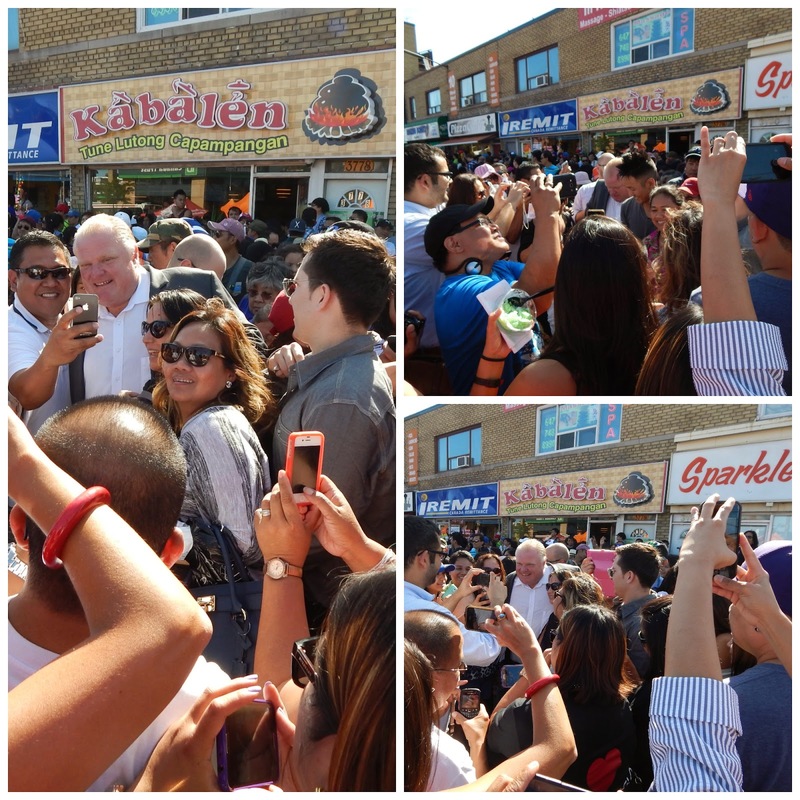 I also had the chance to meet our current Toronto Mayor Rob Ford who willingly greet and meet people on the street saying hi and hello and a lot of 'selfie' to the astonishment of the Filipinos. I have met the above very important personalities in some events that I have attended but I have yet to meet the now famous, Rolando "Kuya Rolly" Mangante who became an inspiration to the success of this first Filipino street festival. But, what really is meant by 'Taste of Manila'? Is it not that the main purpose of this celebration is to highlight the feeling of being 'back home' ~ at least being home for Filipino cuisine? I cannot imagine how the 'Taste of Manila' can be a complete success with few booths of Filipino cuisines, with food that can be prepared and eaten in our own homes. We cannot celebrate this special event with food that my mom used to cook everyday. I expect something different that I can only savour in our home country. I really do. I had pork bbq, spring roll and atchara, but I want Kare-Kare, Adobo, Taba ng Talangka, Pancit Malabon, Bulalo, Arroz Caldo, Mami, Siopao, Espasol, Puto Bumbong, Buko Pie Black Gulaman and Halo-Halo. These are some Pinoy dishes and desserts that I have been craving for a long time. Some of the dishes were at the Taste of Manila, but can we have something more? To the Filipino restaurants in the Greater Toronto Area, remember that this is the time for you to showcase your craft. Prepare the food that is different from the rest. Show us and let's have a taste of your specialty. I challenge you! And yes, there could be some entertainment to compliment our fondness for music. 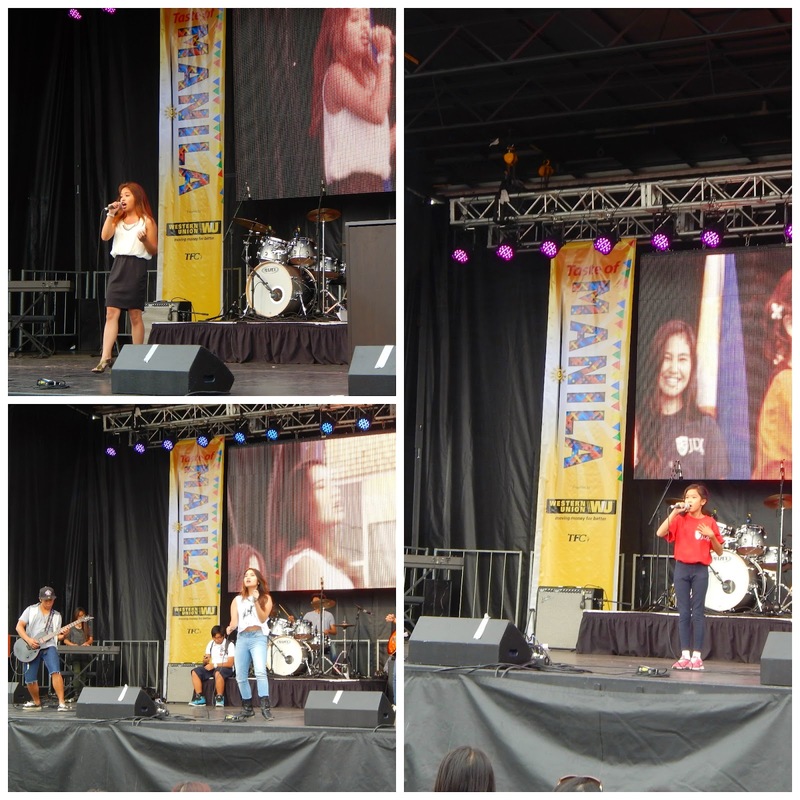 I have witnessed once again, the talented Filipino-Canadian entertainers. Actors, singers, dancers, comedian/comedienne, emcees and....politicians. It's kind of, "you name it, we have it" thing. The appearance of Gerald Anderson, Jr., a Filipino actor, model and dancer based in Manila, added to the flavour of the Taste of Manila Pinoy entertainment world. At any rate, the celebration was a great success. There is no doubt about it. To think that it was the first, we can expect some things to turn out not the way it should be and the way we want to be. There is always a room for improvement though. I am sure, if all our kababayan will join hands and support our very own Taste of Manila, there will be something that we can look up to. Something that we, Filipino-Canadians, can all be proud of. Let's wait and see. Next year, when we have more time to organize and polish the area that needs to be improved, we can have the chance to be on the list of Top Festivals that is being held annually in our city of Toronto. Taste of Manila looks very promising! Let's keep our fingers crossed. I will be pleased to meet you next year, here in Toronto. More photos for you. Enjoy! A blogger and freelance writer based in Toronto. 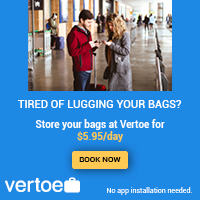 He shares the value of his travel experiences and discoveries with his friends and fellow travellers. Share your passion, join and visit him. Send him a message if you will @ fromatravellersdesk(at)gmail.(dot)com. 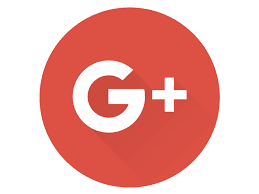 If you liked what you read, we encourage you to leave a comment. We welcome all comments that are useful to all members and followers and will benefit the readers. Remember, you are a traveller and this is your blog. Anonymous commenters and/or comments with commercial links will not be published. For sensitive issues, I would appreciate your sending an email. "Enjoy Life to the Fullest"
Mabuhay! 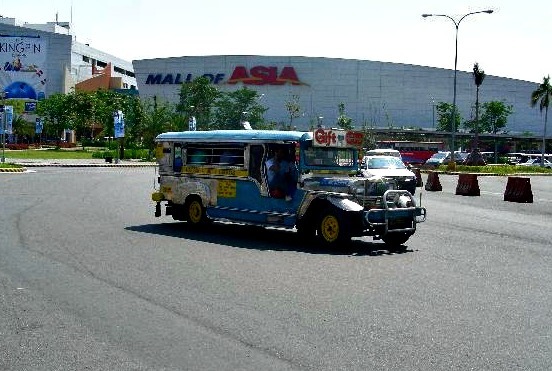 Welcome to Manila ~ Is it really more fun? Julio Moreno of California U.S.A.
2011-2019 From A Travellers Desk. All Rights Reserved. Awesome Inc. theme. Powered by Blogger.